Many indicators for the oil and gas sector continued to increase in May. 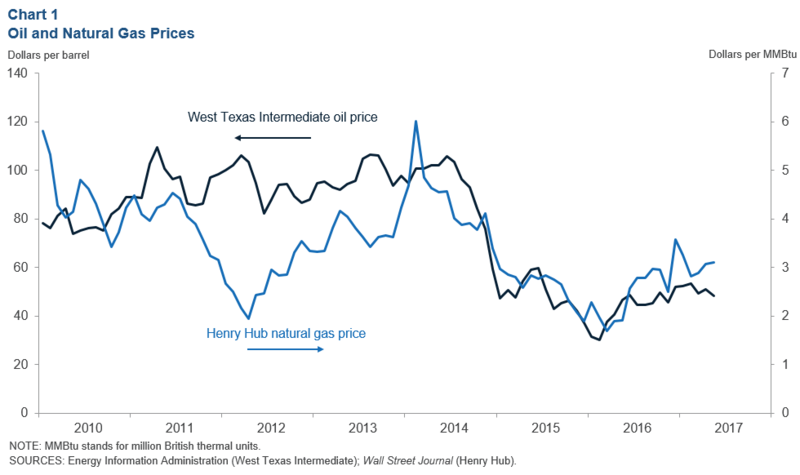 Prices for West Texas Intermediate (WTI) crude oil fell slightly after rising in April, while Henry Hub natural gas prices edged up again. 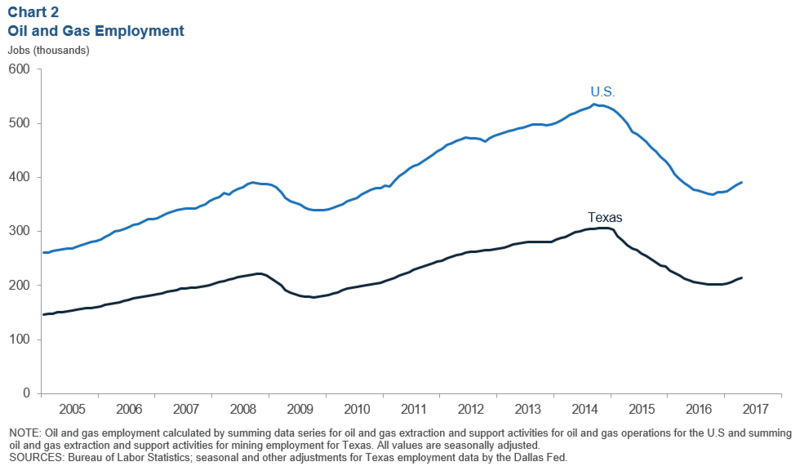 Both Texas and U.S. oil and gas employment expanded in April, with the increase primarily in support activities. 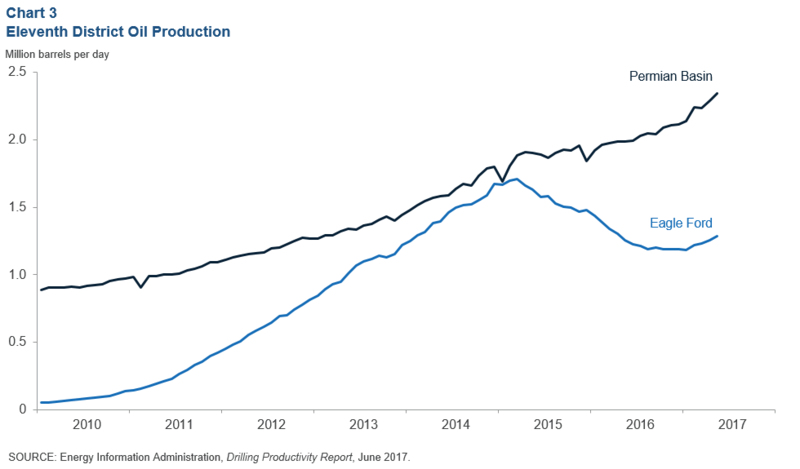 Oil production growth in Texas remained strong in May, particularly in the Permian Basin. 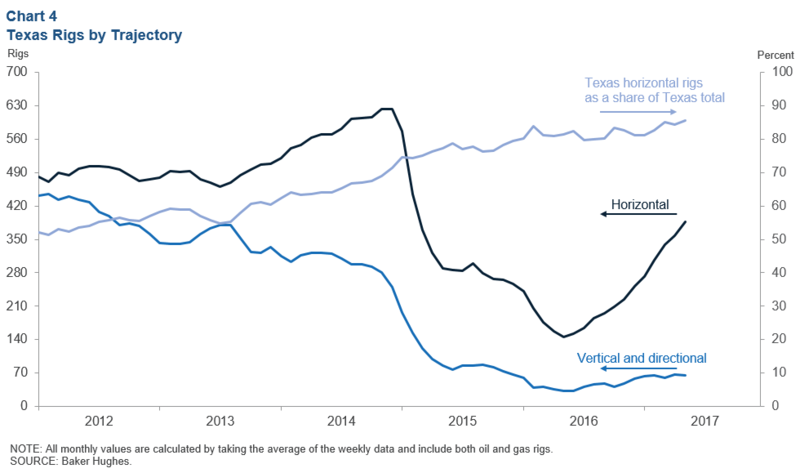 Growth in the Texas rig count continued to be concentrated in horizontal rigs. U.S. crude oil exports have picked up and are significantly higher than last year. 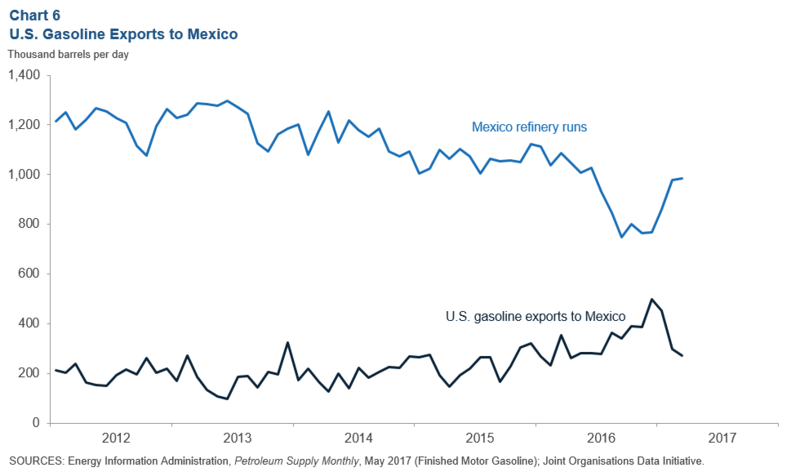 In contrast, U.S. gasoline exports to Mexico have fallen as refinery utilization in Mexico increased since the start of the year. The average WTI spot price decreased in May to $48.48 per barrel from $51.06 in April (Chart 1). In early May, WTI prices received support from news that Saudi Arabia and Russia agreed on extending production cuts through March 2018. 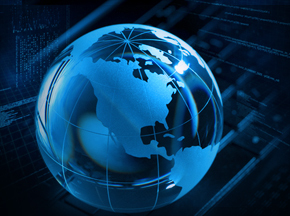 However, confirmation of the nine-month extension during the May 25 Organization of Petroleum Exporting Countries (OPEC) meeting led to a sell off, with market participants potentially looking for more proof that the extension would lead to substantially lower global crude inventories. The average price of Henry Hub natural gas was at $3.10 per million British thermal units (MMBtu) in May, slightly higher than $3.08 per MMBtu in April. U.S. oil and gas employment rose in April by 3,800 jobs to roughly 390,900, of which Texas oil and gas employment accounts for 55 percent (Chart 2). Texas oil and gas employment expanded again in April by 3,300 jobs to roughly 214,100 jobs, recording the fifth consecutive monthly increase. Oil and gas extraction employment in Texas added 920 jobs to 92,100, while payrolls in support activities for mining rose by 2,380 jobs to 122,000. Production in the Permian Basin rose in May by 53,400 barrels per day (b/d) to 2.34 million b/d (Chart 3). In the Eagle Ford, production was up by 33,300 b/d to 1.29 million b/d. For the Eagle Ford, this is the fourth consecutive monthly increase in production since bottoming in January 2017. Operating rigs numbered 356 in the Permian and 98 in the Eagle Ford as of May 2017. Horizontal rig counts in Texas increased from 359 in April to 388 in May, while vertical and directional rig counts in Texas fell from 67 to 65 over the same period (Chart 4). This brings the total Texas rig count to 453 in May. Horizontal rigs are better able to access hydrocarbons locked within the shale rock with the use of hydraulic fracking. U.S. crude oil exports increased from 733,000 b/d in April to 926,800 b/d in May, far above the average 2016 level of 519,600 b/d (Chart 5). 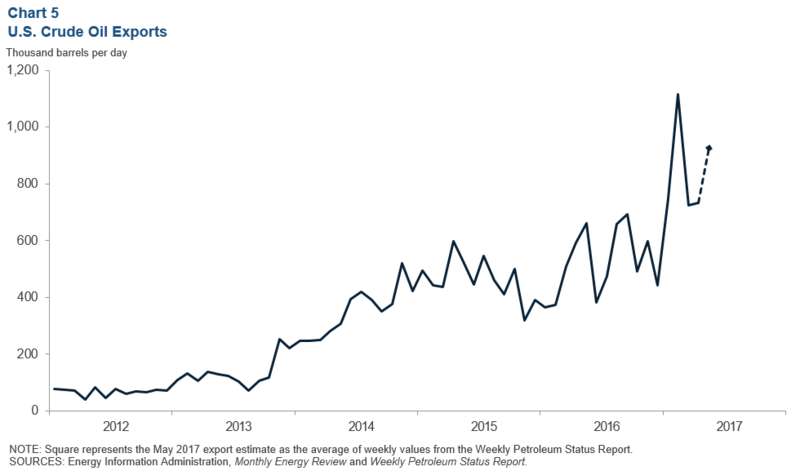 While the crude oil export ban was lifted in December 2015, it was not until the start of 2017 that there was a significant uptick in crude oil exports. The increase may have been driven in part by the new Ingleside Energy Center Terminal (located at the Port of Corpus Christi), which started export operations in October 2016. The port of Corpus Christi announced in late May that the Ingleside Energy Center Terminal had successfully docked its first Very Large Crude Carrier (VLCC), which can transport over 2 million barrels of crude oil. U.S. gasoline exports to Mexico fell to 273,500 b/d in March, substantially below the all-time high of 499,600 b/d in December 2016 (Chart 6). Retail gasoline prices in Mexico have been higher since January 2017, due to the gradual liberalization of fuel prices by the Mexican government as part of its energy reform program. Refinery runs in Mexico increased in the first quarter of 2017, with Petróleos Mexicanos (PEMEX) noting the recovery of refined products’ prices and the completion of maintenance as two main factors behind the increase. Refinery runs in Mexico went up to 983,700 b/d in March 2017, compared to 768,800 b/d in December 2016, boosting domestic gasoline production and lowering the demand for imported gasoline. Note: Additional industry insights will be available in the 2017:Q2 Energy Survey, which will be released on June 28, 2017. Questions can be addressed to Kunal Patel at kunal.patel@dal.frb.org. Energy Indicators is released every third Thursday of the month and can be received by signing up for an email alert. For additional energy-related research, please visit the Dallas Fed’s energy home page.